On Thursday, March 9th, a panel of administrative patent judges (APJs) at the Patent Trial and Appeal Board (PTAB) issued a final written decision ending a series of inter partes review (IPR) proceedings targeting patents covering a popular multiple sclerosis (MS) treatment developed and sold by Ardsley, NY-based Acorda Therapeutics (NASDAQ:ACOR). The decision strengthens the patent portfolio covering Acorda’s Ampyra pharmaceutical even as competition from generic manufacturers has ramped up in recent months. U.S. Patent No. 8440703, titled Methods of Using Sustained Release Aminopyridine Compositions. It protects a method of improving lower extremity function in a human MS patient by orally administering a sustained release of less than 15 milligrams (mg) of 4-aminopyridine twice daily for at least two weeks. U.S. Patent No. 8007826, entitled Sustained Release Aminopyridine Composition. It claims a method for maintaining a therapeutically effective concentration of 4-pyridimine in order to improve MS patient walking by orally administering a sustained release composition twice daily to maintain a certain in vivo concentration of the treatment in the patient’s body. U.S. Patent No. 8663685, same title as ‘826 patent. It claims a similar method for improving walking in a way that slows potassium flow in nerve impulse transmission and is thus effective in restoring conduction in blocked and demyelinated nerves. U.S. Patent No. 8354437, same title as ‘703 patent. It claims a method of increasing walking speed in an MS patient which involves identifying the responsiveness of a patient to the treatment. ADORCA’s IPR petitions, first filed in September 2015, alleged that claims of the four patents were rendered obvious in light of a few pieces of prior art. These include an article published by Clinical Neuropharmacology in September 2003 on the effects of clinical trials involving the administration of 4-aminopyridine, also known as fampridine. ADORCA also presented a 2001 article published in the International Journal of Pharmaceutics which it argued taught the preparation of an oral capsule with 4-aminopyridine and a rate of release controlling polymer. An S-1 filed by Acorda with the U.S. Securities and Exchange Commission, also from September 2003, which included information on clinical trials of its MS treatment was also presented as prior art by ADORCA. The recent final written decision delivered by the PTAB’s ALJs found that ADORCA’s evidence did not demonstrate unpatentability of any of the challenged Acorda claims. The ALJs determined that Acorda’s S-1 filing did not qualify as prior art because it was an original work of the inventors. This finding undermined challenges based not only on the S-1 filing alone but also those claims which were challenged on grounds of obviousness based on the S-1 filing in conjunction with the other prior art. Ampyra has been an important and growing part of Acorda’s pharmaceutical lineup so PTAB’s decision to uphold patent claims covering the treatment must be a turn of events which the company would welcome. Net sales of Ampyra 10 mg extended release tablets in 2016 were $493 million, a 13 percent increase from Ampyra’s net sales in 2015. A reported 10 abbreviated new drug applications (ANDAs) filed with the FDA are seeking approval to sell generic versions of Ampyra, four of which continue to be litigated in U.S. district court over claims of patent infringement brought by Acorda. 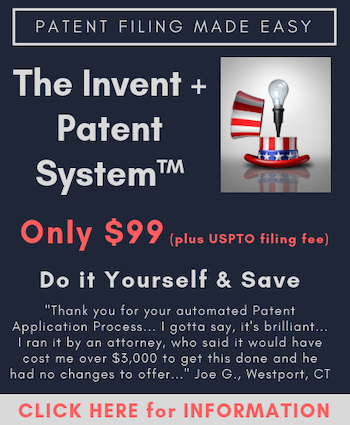 Are the patents off-limits to others who may wish to bring IPRs? That gives far too much credit where no such credit is deserved. Thank you for pointing out this fact. In no other area of law, does U.S. law empower INFINITE bites-at-the-apple, as does the AIA; in its fraudulent misrepresentation to the U.S. public interest, of supposed accordance with the Constitutional imperative of “…securing…” the limited property rights of inventors. Nothing could be further from the truth, and the reality of patent protections as now applied, is that the Constitutional covenant with inventors has been broken: the inventors are fleeing. If these were real estate properties, land and buildings, the general public would be in an uproar over the real inability to be secure in their own homes. Even a rental tenant is entitled to ‘quiet enjoyment’ and to be secure in their standing against trespass. Apparently, patentees are now regarded as such human trash, that even the standing and protections we allot to real estate squatters, are denied to inventors – and, with a flourish of mob-supported contempt. In real estate law, an analogy would be that the authorities have now empowered adverse possession upon mere trespass. Yet, the din for ‘off with inventors’ heads’ in the guise of so-called “patent trolls”, if anything, has only increased over time. The treacherous hunger for rhetorical blood that ends with inventors harmed, ruined and destroyed, seemingly has no limit.